Horbury: "If the car can reflect its national identity, it has something to sell." As a design leader, Peter Horbury has always been the outsider with great insight, the foreigner able to identify style motifs native to a particular country and put them to good use. The cheery Englishman rejuvenated Volvo design in the 1990s by infusing cars with aspects of Swedish architecture and furniture. Indeed, he was a wonder worker in Gothenburg. Horbury next breathed life into Ford’s moribund North American styling in the mid-2000s by making cars and crossovers look more unashamedly American. Now, as head of design at Zhejiang Geely, he aims to draw out a Chinese essence that will play well across the globe. 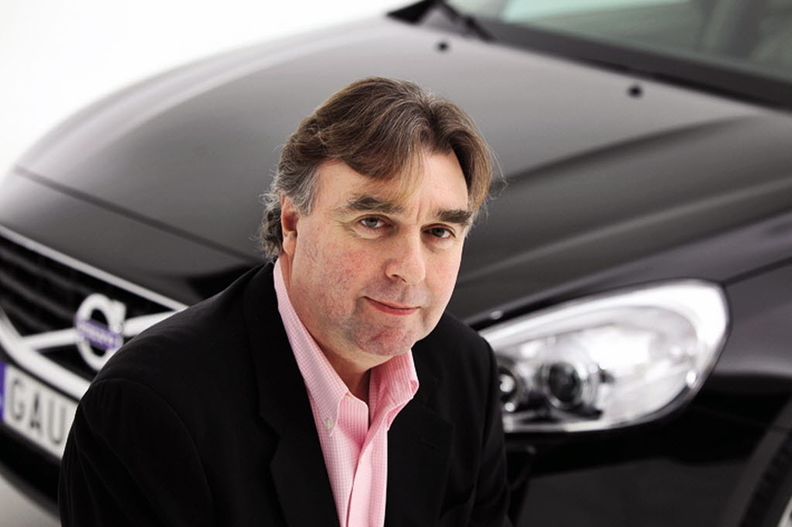 Horbury, who turns 65 in January, was interviewed at the Paris auto show this month. You’re English, yet you’ve been head of design for Swedish, American and now Chinese brands. So is there such a thing as national design character anymore? Volkswagen has suddenly cornered that one, with the Audis and Volkswagens of today. They still look solid, dependable, they won’t blow over. It looks like it’s made out of slightly thicker steel than everybody else. They are very clever, Volkswagen. They put curvature on the panels which ... when you fold a piece of kitchen foil you can fold it into sharp line. It’s metal, but it folds. You take a piece of steel and try and fold it and gets to a certain curve and then it stops. And that’s on the back of every Volkswagen that’s built. It’s a subconscious feeling that it must be made out of something pretty substantial. I think they are losing that a little by putting in incredibly sharp lines. I mean it’s technically fantastic what they do, but people subconsciously know that you can’t fold a substantial material into a dead sharp line. So they have to be careful of that. We’re here at a big international motor show. Do you see national design characteristics reflected on the stands? As for the French, you just have to look downstairs at the joie de vivre of France, the more Latin southern European inspiration that the Italians do and the French do. Let’s hope they continue. Citroen in the ’50s and ’60s really had unique cars, then in the ’70s and ’80s they lost it. Their cars could have come from anywhere. Well, they’re back. Citroen now looks French. They and Renault are doing it again. The Japanese have done it, and the British with the Range Rovers of this world and the Rolls-Royces, they couldn’t come from anywhere else. So I think there’s something in it. People want the exotic, they still like buying things from overseas, and ever since the days of spices and silk, China has had something on offer. So we hope to bottle that and put it into sheet metal, especially interiors. There is a lake and a beautiful bridge in Hangzhou, China, which is Geely’s home city -- a small city of, uh, only 8 1/2 million people. The bridge is in stories of legend. It is very typically Chinese, with a long, long, very soft curve that goes down and out. We put that curve on the instrument panel of the [GC-9 flagship sedan concept car unveiled at the Shanghai show in 2013]. It’s a unique shape. When we were on the show stand in Shanghai, two top government ministers turned up and we showed them the car. They were enthralled -- and knew immediately what it was they were looking at when they saw the interior. We were showing Chinese culture in our design and making it attractive for everyone. You’ve done this kind of thing before. It’s the sort of thing I did at Volvo. We picked out shapes that were unique to Sweden -- the shoulders. In 1992, we showed the Environmental Concept Car here and it had shoulders, and I said to everyone, 'Look, this is a Swedish curve.' They make furniture out of wood, which they bend so the chair legs and the table legs all have that big radius -- clean horizontal, clean vertical. Even in those days the Audis and the BMWs had shoulders like this (he draws a soft curve with his hand), and we went straight out. It was the same on the old [Volvo] 240, if you look at the section through the door -- it was just a bit exaggerated on the ECC -- and then we brought that into production. What did you see in Sweden that inspired you? There were a lot of Swedish elements, curves that you only see on Swedish buildings on the tops of windows, very flat curves. You see it all over Scandinavia. It was just looking for those things and it often takes a foreign pair of eyes to spot them. In America, it was a similar thing. I felt when I got there that there was a very low-key sense of pride. I know Alan [Mulally] came along and said, “No, we’re doing global.” But there were certain products -- the Explorer, the Taurus, things like that -- that were going to be American only. At the time, Ford sure needed a shot in the arm, design-wise. I said, “You Americans have great teeth, [like] three-bar grilles.” It was just saying, “I’m American, the hell with it.” Be proud of it. America was big, so bigger shapes, more section, creating a car that stood its ground. But like I said, sometimes it needs someone to come from outside to spot the opportunity and make something unique for that country, and I had a whale of a time doing it.